Am I eligible to apply for this master's program? NB. The admission committee reserves the right to propose engineers’ applications for a M1 (instead of a M2) after examining their application and according to their background). NB. If you apply for the wrong year (M2 instead of M1 or the other way around), the examination of your application will be delayed. Can I apply directly for the M2 if I obtained or am in the process of obtaining a Bachelor’s degree? No, you can’t and even if your Bachelor’s degree is a 4 or 5 year program as it is the case in some countries. You MUST apply for the M1. See the pre-requisites in the application page for more details. Can I apply even if I haven’t validated my Bachelor’s degree or M1 yet? Yes, you can. The earlier you apply, the better it is. You can apply ahead of time and explain in your application that you will be sending the last transcripts when you get them. If your application is competitive enough, you can be interviewed and receive a positive reply. In the letter you will receive, it will be mentioned that you are authorized to enroll into our program provided that you validate your current degree at the end of the schoolyear. Of course, you will then need to send us the proof of validation as soon as possible. Are there any GPA/grade requirements? There are no minimum GPA/grade requirements. Your application must be competitive enough for you to be pre-selected for an interview (in person or via Skype. The keys to be authorized to enroll in our program are excellence, motivation and compatibility of your professional plans. Do I need to speak a little bit of French to apply for this master's program? No, you don’t. ALL courses are taught in English. You do not have to attach a French language certificate to your application. Foreign students will be offered optional weekly French classes. Your level of English should be good enough so you can actually understand what is said during classes. Level C1 is required. Is there a minimum score which I have to obtain for my English language certificate? No, there isn’t. Your level of English will be verified during the interview if your application is pre-selected. The level we expect is a C1 level (or equivalent). What language should my documents be in? If those documents are in a different language, you must have them translated into either English or French in order for your application to be examined. What language should I write my CV and letter of personal statement in? Can letters of recommendation be written in French? Yes, they can. We accept letters of recommendation in French and English only. If I applied for the BME PARIS master's program a previous year, can I use the same application number? No, you need to apply again as if it was the first time. Can I apply for this program as a physiotherapist (kinésithérapeute)? You can apply directly for the M2 only if you are a “cadre de santé” (if you have done the extra fourth year which awards you this title). Otherwise, you have to apply for the M1. Check the prerequisites on the application page. Can I apply for the BME PARIS master's program through the « formation continue » or does it only apply to the « formation initiale »? You can apply for this master’s both under the “formation initiale” or the “formation continue”. The formation initiale will concern most students. If you have no idea what these expressions mean, do not worry about it. Students who would like to apply for the program under the “formation continue” will know what it is about. Briefly, it is for people who have been working in France and who would like to improve their skills by going back to school. Their employers usually finance their studies. Can I ask the administrative coordinator to check if the application I sent is complete? No, you can’t. We receive so many applications that we cannot check them individually before the current batch ends. It is YOUR responsibility. If it is not complete before the end of the current batch (example: 1 letter of recommendation missing), it will not be examined and will be moved to the next batch and so on. your English language certificate (you must attach a document that explains why. For example, you will be taking the test at a given later date and will send the results as soon as you get them, or you are exempted from providing the certificate because you have been attending an English-taught program, etc.). In any case, you MUST NOT send an email to the administrative coordinator to ask if your application is complete or not. Am I going to receive a confirmation email after submitting my application and uploading my documents? Yes, you will. You will also receive an email after the end date of the batch during which you applied, stating whether your application is complete and can be examined or not. Are there any scholarships I can apply for as an international student? International students can apply for different scholarships which can vary from year to year. Warning: the deadlines for our program are earlier than the Campus France or Ile-de-France deadlines. Example : the deadlines to send back your complete application for the Eiffel scholarship via Université Paris Descartes is December 10th of each year. We strongly recommend that you look for other scholarships on your side (ask the French embassy in your country) because French scholarships are extremely competitive and they usually give priority to new comers, ie students who have never been to France before. How much money do I need to live in Paris? For European students, tuition is around 250 € per year for a M1 (including social security) and around 400€ for a M2 (including the fees for the mandatory interdisciplinary seminar) to be paid in September. For students from other nations, check the new tuition rates on the Campus France website. No additional tuition is asked for internship or thesis. Expenses for books and educational material are around 300 €. Living in Paris is expensive. For example, the cost of a room for students at the Cité Internationale Universitaire de Paris is between 500 and 600 € per month. Is the kick-off meeting mandatory? Yes, it is. All students (M1 and M2) must attend. It usually takes place on the first Tuesday of the first full week of September (e.g. Tusday, September 3rd 2019). Students must be registered at their respected school/university before the kick-off meeting. Is the interdisciplinary seminar mandatory? It is mandatory for all M2 students (no M1s allowed though). When applying for our program, you have to make sure that you are available to go offsite all week for the interdisciplinary seminar. It takes place during the second full week of September each year. Is it a full time program or can I work on the side? It is a full time program. You will not be able to work on the side unless it is a student job which doesn’t take more than a few hours a week. The Biomechanics/Health Science subtrack (for clinicians only) has a different organization though. Please check with the subtrack chairs directly. Where are courses going to take place? Does the University provide housing? Paris Descartes University, PSL and ENSAM ParisTech are located in the center of Paris and does not have a campus allowing housing. So, you will have to look for yourself. You can find tips in our international student guide. Can I pursue the program in a distance-learning context? No, you can’t. 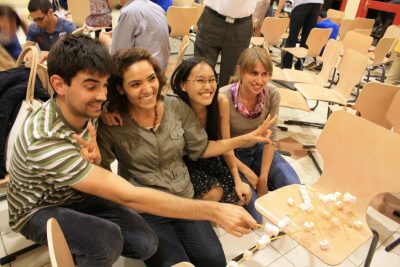 The BME PARIS program is only open for traditional courses. Students MUST attend ALL courses. Is there a possibility to start the year in January? No, the school year starts in September only. Can I start the year later in case I don’t obtain my visa on time? Absolutely not. You must be present from the very beginning of the year. The kick-off meeting is mandatory and takes place on the first Tuesday of September. 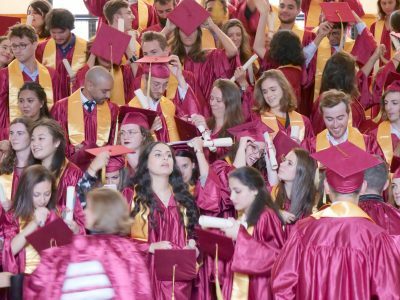 When and how can I get my diploma once I graduated? Warning: the earlier you will get it is the following November. What type of degree is the BME Master's degree? It is actually a Master’s Degree. It is neither a Master of Science Degree, nor anEngineer’s Degree.